The OCS team from HQ travelled to ICRAF Bogor to conduct User Acceptance Training (UAT) for staff from Southeast Asia, South Asia, and East and Central Asia. Participants from the Philippines, Vietnam, Thailand, India and China, as well as field staff from Sulawesi in Indonesia, converged at CIFOR where the Southeast Asia Regional as well as the Indonesia Country Offices are hosted, from the 24th August to 14th September 2015. During the first week, participants went through the common modules which comprised Introduction to UBW, Leave Application, Travel and Requisition. On 31st August 2015 while participating in the training workshop, Dr. Ujjwal Pradhan, the Regional Coordinator for Southeast Asia expressed strong support for the One Corporate System initiative that is anticipated to enhance internal controls and cut across all participating CG Centres. Acknowledging that OCS, if well implemented, would provide uniform and efficient access to valuable resources required for both technical and financial reporting, Dr Pradhan noted that ICRAF SEA would remain in the forefront in ensuring co-ownership of the system by providing all the support required for trainers, both from the region and HQ. 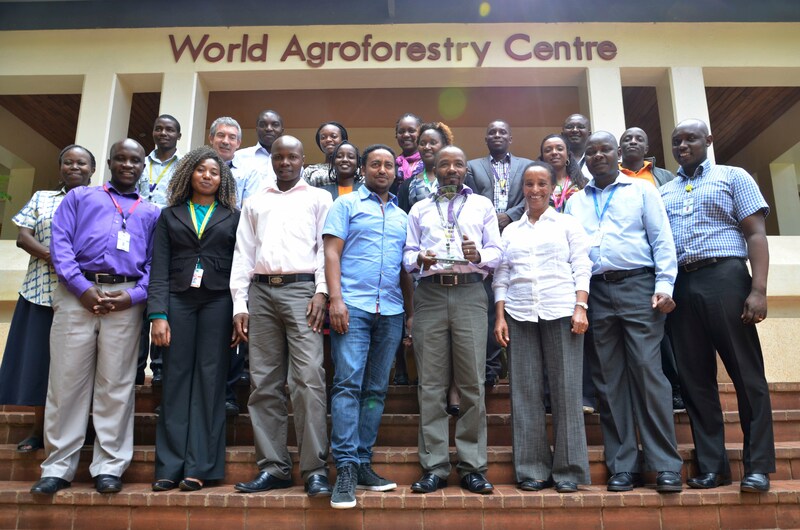 On Tuesday, 31 March 2015, ICRAF Nairobi was awash with bright green and orange, the official colours of the One Corporate System (OCS). Screens throughout the campus were lit with OCS messages. We were finally going live after years of hard work. Linus Kabutha, the Project Manager kicked off the event by highlighting the history of the initiative. He noted that it had begun way back in 2006. “It has been a long and arduous journey and I cannot believe that we are finally here. Live in HQ.” He noted that activities in regional offices would be launched in June and would run till October. Adding that just like anything new, the system is not perfect, he urged staff to get in touch with any member of the team if they detected any glitches. Laksiri Abeysekera then introduced everyone who had been working on the team including process experts, the system builders, key business users and the support staff in charge of capacity building, administration, change management and communications. He also gave a brief historical background, noting that the idea for a common system was birthed in Nairobi almost a decade ago during a meeting between ILRI and ICRAF. It was funded by the World Bank, but unfortunately the funding ceased and the project stalled. It was later picked up and revived by other Centres. “The effort and dedication put in by the team has been tremendous. However, this is just the beginning and there is still much to be done. In the end we will have a system that is fully integrated, efficient and powerful. Staff will be able to customize reports depending on their needs, which was impossible to do earlier.” He also noted that now that ICRAF HQ had gone live, a formal launch would be organized sometime in October once OCS has been implemented in all the regions. He thanked the team for maintaining their enthusiasm in the past three years even when things seemed to be falling apart and requested the staff to support the process by providing feedback. During his brief speech, Christo Erasmus of Unit 4 South Africa noted that he was very proud of the work that the ICRAF staff had done so far. “The level of commitment has been very encouraging. I have worked with several organizations and usually towards the end things do get extremely difficult. However, in the case of ICRAF the team has remained united and totally committed to seeing the project through which is a rare occurrence.” He concluded by saying that OCS is an amazing and exceptional system and encouraged staff to keep providing feedback on how it could be improved. Leah Kiura, the consultant trainer, thanked staff for their cooperation and punctuality in attending the training sessions. Christine Larson-Luhila, the Director of HR, speaking on behalf of the Senior Leadership Team, recognized that the team had put in a tremendous amount of time and truly appreciated it because this meant that they had to sacrifice time they should have been spending with their families. ICRAF is at a stage where it needs to change the way it does business and OCS is critical for supporting this. The system will support harmonization of processes and data across programmes, promote information sharing and automate systems to ensure improvement and streamlining of processes in the organization.